Mina Park is an assistant professor at the Edward R. Murrow College of Communication within the department of strategic communication. 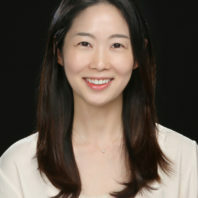 Park comes from the University of Southern California where she received her doctorate in communication. Her research interests span the areas of information-seeking, sharing, and decision making in technology-mediated environments. She is specifically interested in understanding the process by which interpersonal communication affects health information-seeking strategies, diffusion of health information, and judgment and decision making on health issues through communication technologies. Her current research focuses on the role of interpersonal and psychological cues in online decision making in the presence of misinformation and/or conflicting information. She teaches Quantitative Research Methods for in-person and online classes. As a teacher-scholar, she finds it important to communicate research with students and the next generation of communication experts. She also finds working with students is a constant source of motivation and provides her with new ideas for research. Outside of work, she enjoys playing tennis and doing yoga. She also spends her free-time running and has participated in several marathons.